When deciding it is time for a wash of your beloved vehicle, you generally end up with two different choices, an auto car wash or a manual car wash. Both of these car operatives hold up to its own pros and cons. 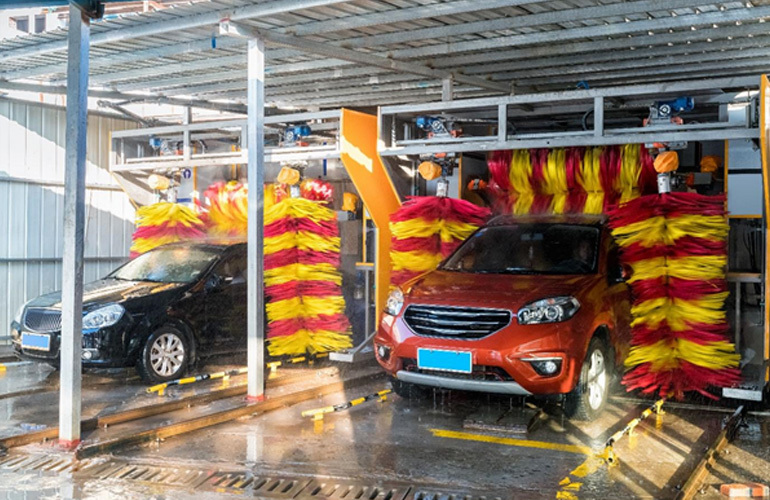 Here are few prime differences between Auto vs Manual Car wash.
An auto car wash is primarily cheaper than a manual one, because of all the mechanism and the machinery in use are fully automated. However, there are a significant amount of people who still prefer a human interaction in the process of car washing. These people are happy to pay a few extra dollars in order to get a full manual car wash.
A manual / self-serve car wash would comprise of hard labour. Where in an automated car wash, you can sit back and relax, while the car will be washed for you. If you are fascinated by automated car wash, and live near Logan city, why not give the Express Auto Car Wash of Oasis Carwash a try? Automated car wash is safe option when it comes to a risk free car wash. As the whole experience is computerised, the chances of an error goes to bare minimum. In contrast, a selfserve car wash, will yield a more personal result, where attention to detail is greatly taken into account, however, the risk of human error still remains. Whether you would like manual car wash or you prefer an automated one, Oasis Carwash in Logan is the place to go. They are open for business 24/7, 365 days a year, so you can come in for a car wash any time you need.